All purpose tote bag, personalized just for you. A comfortable and versatile bag for the working girl, new mom, shopping, and travel. Popular vegan leather and cork combination fabric with a large opening, measures 18"W x 11"H x 5" across bottom. Lined with two interior zip wall pockets, zipper closure and vegan leather handles. Ordered this beautiful bag as a gift and am so impressed with it. 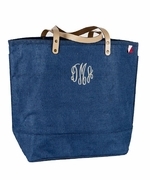 Beautiful, high-quality fabric, perfect monogram, leather handles. Extremely fast service. Great price. This was my first time using this company and I was not disappointed. It arrived very quickly, the tote was of great quality, it was the way I wanted it and beautiful. It was inexpensive with a variety to choose from. I love it. I just wish I could what it would look like with different colour writing, other than black. But love it! I have continued to use this company and particular bag for the quality and how quickly I get the order! Very fast and great service. Love the results! 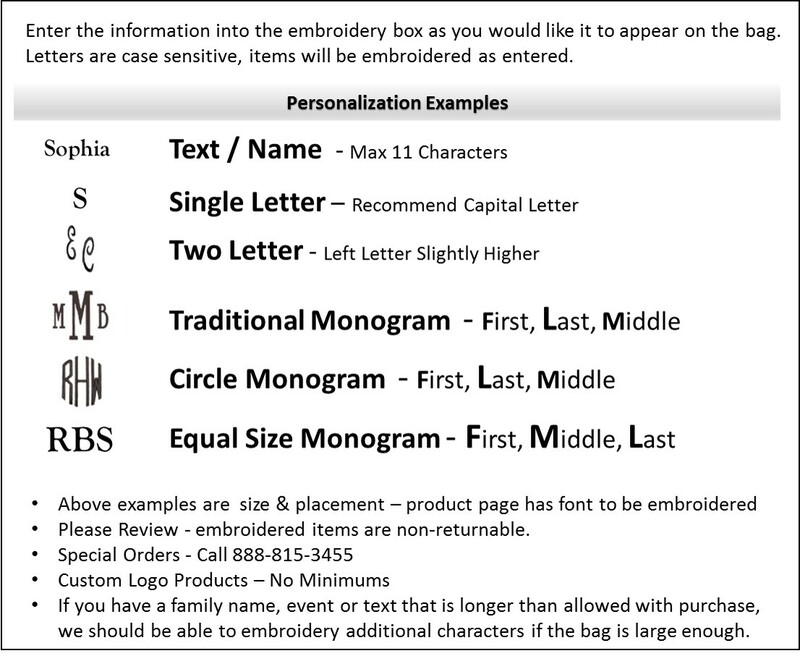 I purchased 3 personalized tote bags two days before New Years and needed them by January 5th (my bad). Not only did I get the bags on January 2nd, they are beautiful! This company rocks.